We’ve just wrapped up a stellar year of incredible nursery finds. From the classic, to the cutting-edge and everything in between, you’ve loved the hundreds of swoon-worthy products we’ve discovered to adorn your baby’s nursery. We’ve managed to whittle down our bumper list, to the 10 most popular nursery finds of the year. Prepare for a rather pleasing perusal through the year-that-was in nursery brilliance. 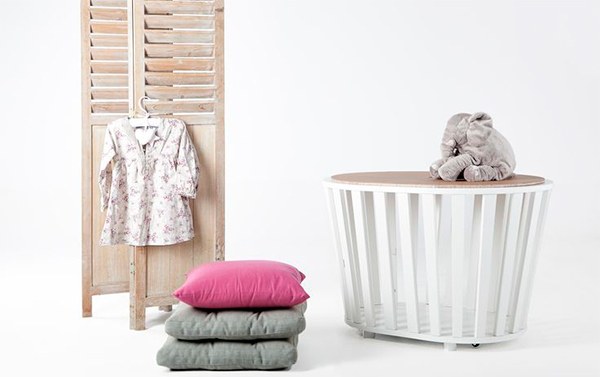 At the top of the pops as the one nursery item that took your breath away, is the divine Miniguum bassinet, from Guum Barcelona. Not only is it a work of art to lay your sweet baby’s head, once bubs has outgrown it, this bassinet moonlights as a toy box or side table. Good looks, and plenty of substance! It wasn’t just comfy nests for sleeping babes that turned your heads this year, Babyologists went ga-ga for these beautiful rocking chairs from Hobbe. 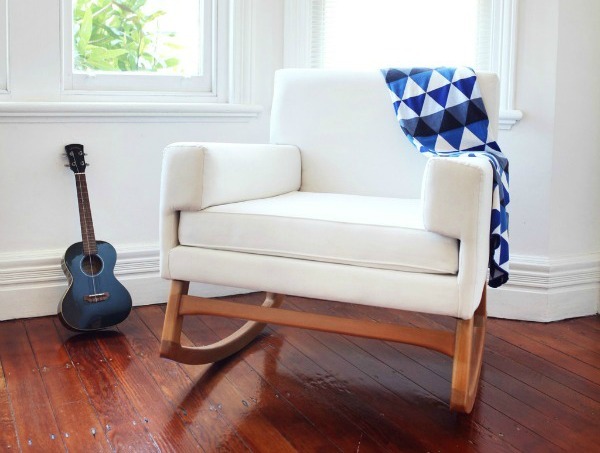 This Australian-owned company crafts the most stunning chairs that create cosy corners to rock away the hours. We do love having Pottery Barn Kids in the land Down Under, and their sublime products continue to pop up in some of our most clicked posts. 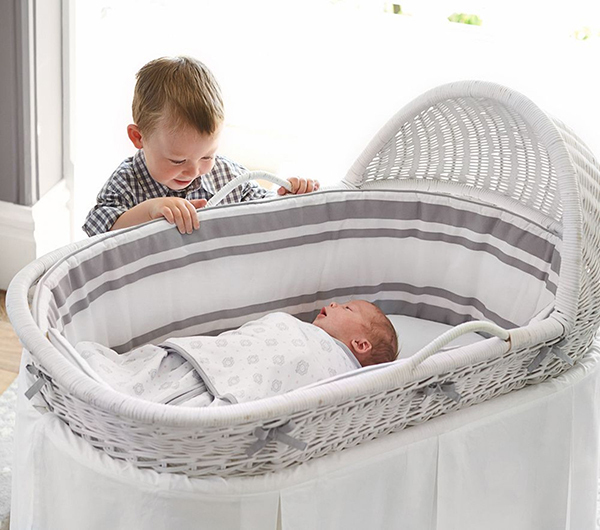 Like this newborn bassinet, with its traditional wicker. It can be dressed in ruffles or pleated cotton, and looks as pretty as a picture! While designer finds are our bread and butter, we also like to bring our Babyologists plenty of budget options to fit out the nursery. And if there’s one place that does budget goodies pretty well, it’s Ikea. 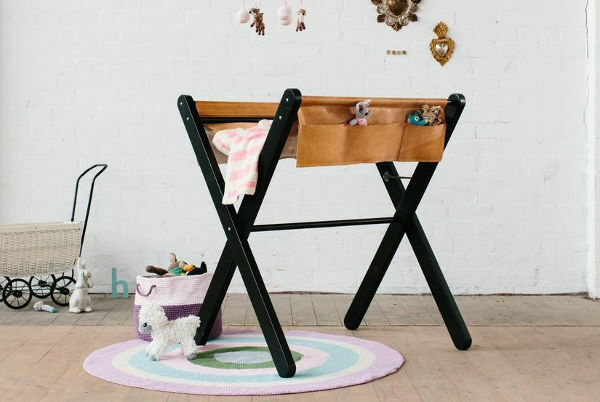 The retail giant this year launched Charmtroll, a beautiful range of nursery wares. 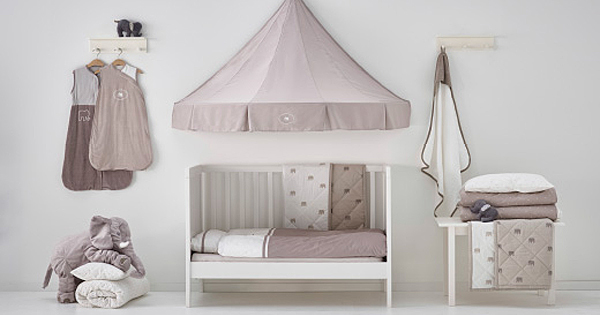 Everything in the range is sub $25, and is perfect for a neutral nursery. 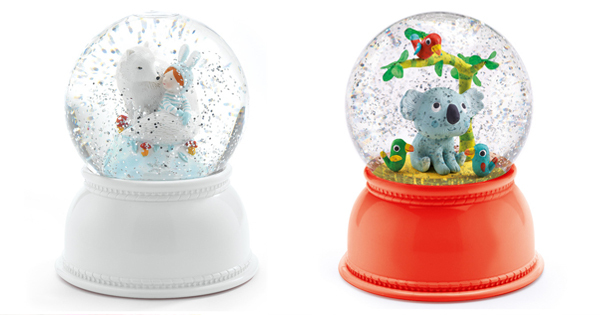 One of our go-to brands for pretty much everything is Djeco – and we just adore its beautiful range of snow globe night lights. Soothing and calming, they continue their beautiful light and sound show for 45 minutes, before turning off. 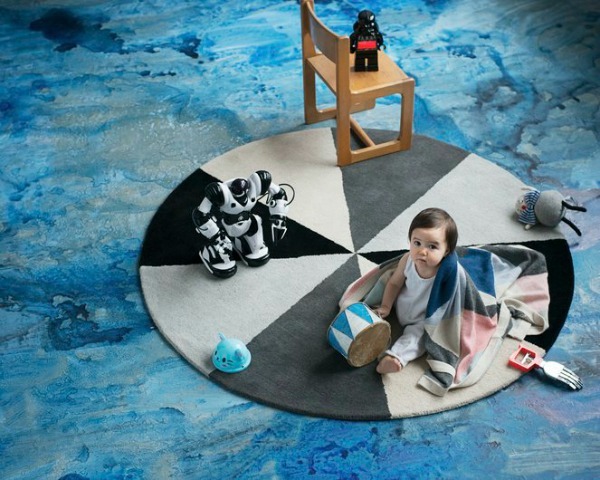 One of the biggest trends in 2015 was crocheted rugs, and these from La De Dah Kids took your fancy just fine, thank you very much! Just like something your grandmother would’ve whipped up back in the day, they look perfect on a nursery floor. Our obsession with all things hailing from Denmark has proved far more than just a dalliance, and Lucky Boy Sunday fuels our obsession to perfection. We revealed a whole beautiful selection of bits and bobs that would look not out of place in any stylish nursery. 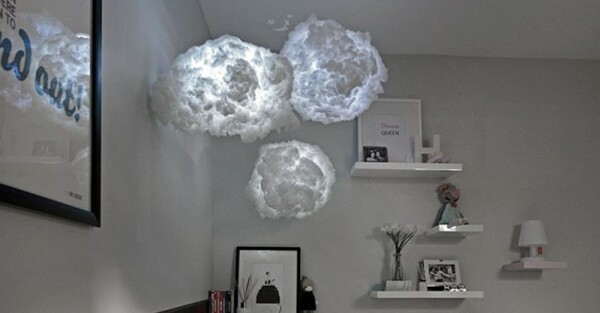 Part art installation, part decor, these Cloud Lights created a click frenzy. Cleverly housing LED lights and suspended via almost invisible nylon thread, they add an element of whimsy to a child’s space. The brilliant Munchkin Nappy Bin may be practical, but it’s also a thing of beauty – if you’re keen on a fresh smelling nursery! Just one hand is all that’s needed to banish smelly nappies – and often that’s all us mums have free! 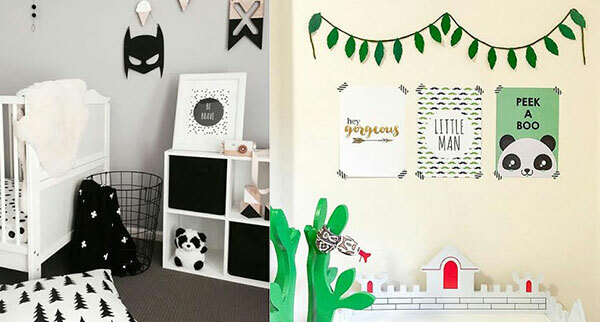 Finally, rounding out our top ten for 2015, is some lovely wall art from Little Zee. The finishing touch to complete a well-rounded nursery, these prints are just the ticket for those who prefer to find their art online! What an amazing year of nursery sweetness! If you’re in the mood to see what other incredible nursery finds we’ve written about, take a look through our extensive nursery archive.